2"L x 2"W x 6"H Nothing like the dead singing in the rain. 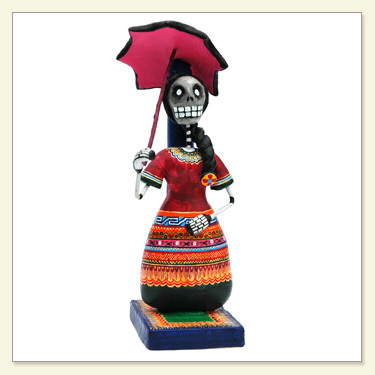 This unique figurine is an exquisitely detailed piece created by wonderful artisans. Each piece is hand-painted, so colors and patterns may vary slightly. We've sold out of this item and our supplier has gone out of business. We apologize for this, but if we ever locate another supplier we will restock them.